I have always loved just about anything wrapped in a flour tortilla: burritos, soft tacos, fajitas, chicken Caesar salad wraps, etc. One of my kids’ earliest finger foods were flour tortillas and cheese (yes, in my pre-Paleo days before I knew any better). 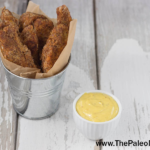 They are something that I’ve missed since finding Paleo (not that I would trade how great I feel now for any food from the “olden days”)–but not any more! 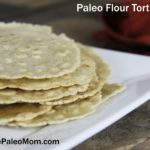 These Paleo-friendly flour tortillas are made possible by the introduction of cassava flour to the Paleo community! Cassava flour is different from tapioca flour (more on how they’re different here), since it’s made from the whole cassava root (rather than an isolated starch) and its chemistry is something completely unique in the Paleo Pantry. Flour tortillas take a bit of practice before they’re super easy to make (but, you can get there! ), but there’s no reason to be intimidated. See the video at the bottom of this post for a demo! 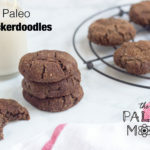 If you’d rather not make them, you can purchase a similar version from Paleo On the Go! Serve warm or allow to cool for later use. Store in an airtight container or resealable plastic bag at at room temperature for 24 hours or can be frozen indefinitely. To freeze, separate tortillas with parchment paper or waxed paper and place in a zippered bag before placing in freezer. Sound daunting? I created this “How To” video just for you! Maybe this is obvious…but I’m wondering if my daughter, who’s very sensitive to tapioca, would react the same way to cassava? Bummer! Thank you for the quick response! 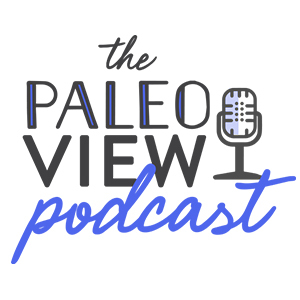 The Paleo approach has helped my son with multiple food allergies, and my daughters as well, beyond what I could have imagined! Everything I found for “allergy free” cooking was not what I considered healthy all. So the AIP really changed our lives, THANK YOU! I’m new to this but can’t have tapioca and was wondering, what’s the AIP? Perhaps it could help me too. I have recently heard of tigernut flour? Can you tell me anything about this flour? I love this! Thanks for sharing. Maybe we can get them in stores? They look delicious!!! These are fabulous! 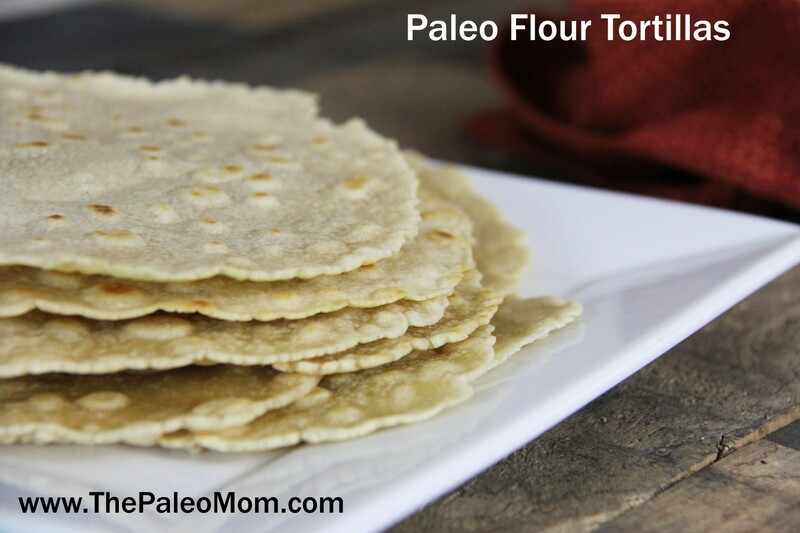 They are so similar to flour tortillas in the texture and flavor.. I used a coconut/palm shortening but I am wondering if lard may bring a nice texture element instead of oil. Taco night is really back now! I am thinking of so many things I can make with these. Today for lunch I made some Bacon, Lettuce, and avocado wraps, they were so good. 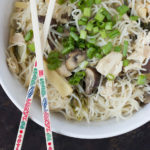 When you are eating AIP and your options are so limited, it is recipes like this one that just add so much more variety to your diet. Thank you so much for the video! You are wonderful! Made these exactly as written but the dough was very wet. Had to keep adding flour to make them work. Very difficult to get off the waxed paper, but the ones that came out ok are yum! My dough was quite wet too, in the end I kept adding flour until my dough looked like the YouTube video. All up I used 2.5 (rather than 1.5) cups of flour and made 8 tortillas. They were fantastic! I wonder if it is an elevation thing because we are at higher elevation and mine were pretty dry. I had to keep splattering water on the balls in order to kneed them into balls that stuck together. I’ve made several batches and had the same issue, but made them tonight and use HOT water not warm and the dough turned out perfect with the original recipe. So Happy! We do not get Cassava Flour in South Africa. Do you think I could use Tapioca Flour? Thanks so much for this! My biggest loss in going Paleo was tortillas. I know there are over priced Paleo wraps, but besides the overprice, they just don’t taste good. Excited to try these. I know that in your book you warn against cooking with olive oil, since getting it too hot can change the fat, so I was wondering why we can cook with olive oil in these tortillas. Doesn’t it get too hot when the tortillas bubble? I had the same thought! I will not cook with olive oil. I’ll try with coconut oil since I don’t have avocado oil at the moment. I tried avocado oil and thought they turned out great! I continued to add flour to try and get the consistency the same as yours on the video but never did. It was always a oily and actually added about 1 cup of extra flour to get it to where it even looked like yours when breaking it up. Interesting that the 8 balls were still about the same size as yours! But cooking was tough as they kept breaking apart and were rubbery. They also didn’t taste very good. I used avocado oil and wondered if that was the issue. Anyway, it was a disaster, but want to make these so badly, I will try again halving the recipe next time so as not to throw away so much $ if they don’t work out. Just wondered if anyone else had any problems or if the measurements in the recipe were incorrect. I’m an experienced baker and am surprised at how tricky this is! What brand of cassava flour did you use? My husband ordered Anthony’s organic Cassava Flour & they sent Tapioca Flour ? The ingredients on the back say Organic Cassava ( Tapioca ) now what? Sadly, the print icon isn’t working on this recipe. I’d love to print it! These look wonderful! 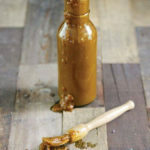 I am struggling with treatment-resistant SIBO and wonder if you think it would be safe for me to try the cassava flour. It appears much higher in carb/starch than the foods I generally eat following low fodmap AIP but the idea of a tortilla is so tantalizing. Thanks so much for your blog and terrific books. You’ve helped me so much! First of all, these tortillas are fantastic! I am now hooked on cassava flour. I wanted to share that I took this recipe one step further and used my newly made tortillas to make taquitos which came out restaurant perfect! Just wrap meat of your choice with a tortilla and fry in a pan with coconut oil, first directly on the seam to get it to close, then rotate to crisp all sides. Serve with side of guacamole. It was delicious! What a great idea! I may use lard instead of coconut oil to fry them in. I just made some pulled pork and that would be wonderful 🙂 Thanks for the idea. These are delicious! I used pastured lard, and slightly less water than your recipe called for. The only difficulty I had was peeling the dough off the waxed paper. Maybe I rolled them out too thin, or need to add a bit more flour, so they’re dryer. Anyway, I think they are far more delicious than traditional tortillas. Thank you so much for creating this recipe! Thanks for responding to my email. I purchased cassava flour by Choice through Amazon. I see now that several comments from customers lately thought the flour had changed from what they had purchased in the past. Someone even made the comment that it was more like tapioca starch in that whatever they were cooking turned our gummy. That’s what I found when I finally got a few cooked. It was a mess!! Thank You, Thank You!! So simple and worked perfectly just as written. This has brought a frenzy of excitement back into our kitchen. God bless you for sharing this with us! Maybe the brand of cassava flour ia the issue. I bought the brand Sarah used and these turned out perfect! I might try the lard instead of oil next time just to experiment, but these are fabulous as is. Easy way to get a fix and a delicious wrap! I made taco meat (with shredded zuchinni added in. It was amazing. It made the meat seem juicier) and fixings and the family, toddler included, loved it. I am not AIP, but can’t eat eggs, so a few treats like this are welcome. Thanks! I understand a extra virgin olive oil should never be heated because a dangerous change occurs in the oil’s chemistry when it is heated. This is not the case with a light olive oil or the avocado oil you suggest as an alternative. Could you elaborate on whether extra virgin olive oil should or should not be heated. I’m trying to get my ten plus servings of veggies a day and was wondering because the flour comes from the entire root, whether I can count the tortilla as a serving of vegetables? Could you please comment on the cassava root\cyanide association? Excited about a new flour alternative but scared off because of the cyanide thing. Thank you. Will arrowroot powder work? ? Can I successfully substitute the cassava flour for banana or coconut flour? I too would like to know about banana flour as a substitute. Thank you so much for this recipe. We love it… EVERYONE in my family loves it! I have struggled to find a recipe like this. 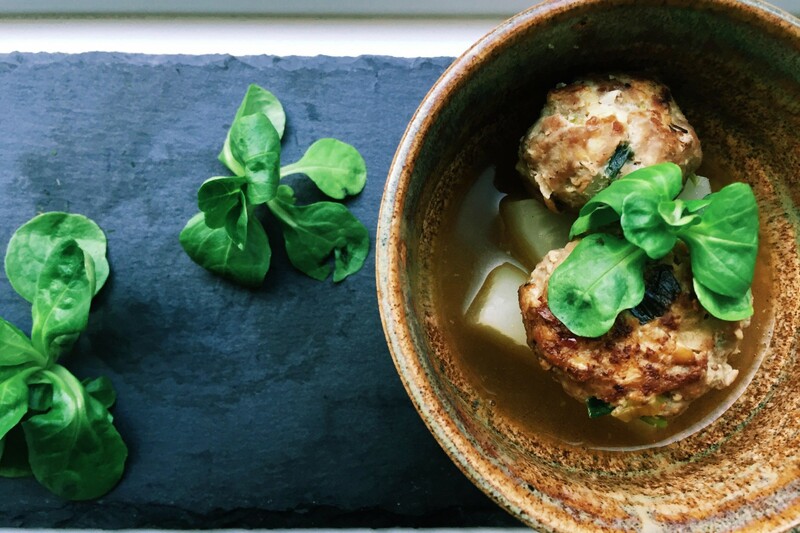 We’re trying to eat Paleo, yet I also have egg and almond allergies, so this recipe is perfect! I, too am wondering about substituting for the casava flour! Just made these yesterday, and boy are they good! I can actually eat them as they are, though they are much better with a filling of sorts. Anyway, just wanted to say “thank you” as the other recipes out there are so nasty! These were delish! These have a great flavor and nice chewy texture like a tortilla, my problem was that they kept cracking and breaking as I tried to eat my burrito. I’ll definitely try the recipe again – maybe adding more liquid, or perhaps an egg – to see if that makes them more pliable. Thanks for the recipe! I made these last night with moon rabbit cassava flour and they came out great! The were a few mishaps with it being hard to get off the wax paper without tearing ,but then I just rolled it out slightly thicker. Also getting it in the pan with out it ripping or not laying flat was a challenge as well! We had tacos with them and my 7 year old loved them! One thing I would like to tweak is the amount of oil used. They smelled and tasted of olive oil so much I was afraid she wouldn’t like it but once the taco fixings were in she didn’t notice. But they do seem very oily. Maybe using a milder oil next time will help. Also thinking of cutting back a tbsp or two and seeing if the dough still turns out. Anywho thanks it’s great can’t wait to have sandwich wraps and tacos of the regular now! Coming from an hispanic background and eating Mexican food most of my life, until sadly I had to go AIP, these are fantastic! I followed the recipe exactly other than I used a little lard on my hot skillet. I had these whipped out in about 15 minutes using my tortilla press. Easy peasy and no rolling or sticking. Just took the rolled dough placed on my sheet of plastic and pressed. Thanks Sarah these are great! Thanks for this response. I have a tortilla press too, and was wondering if it would work with this recipe. Just a tip. Today i made these in my flat sandwich press. Turned out perfectly and i didn’t have to flip them! Truly yummy tortillas! Thanks Dr. Sarah! I used the recipe to make mini pigs in a blanket. I rolled the dough out, but not as thin as a tortilla. Then used a pizza cutter to make slices like a pizza, no wider than the sausage. Just rolled it around the sausage, and baked it in the oven at 375 for around 12-15 minutes, turning them over a little more than half way through. Pretty good! Next time I will make tortillas. I followed the recipe to a T and mine are a dry, crumbly mess! I added extra oil and still they won’t stay together. I added a total of 3 extra Tbsp. of coconut oil (that’s the oil I’m using) to them. I barely got part of one done so I could see what they taste like. Amazing taste! I’m AIP and gluten free for 14 yrs. I’m dying for “bread” of some sort. HELP!!! What happened?? I don’t want to throw away expensive ingredients. I’ve been prescribing to you for awhile and have one of your books. I was so excited when you posted about the special AIP box and got it. I made the tortillas using the recipe on the bag and the wonderful oil that came in the box. I just made these and they are ever so slightly chewier and yummy. I couldn’t even wait for the tortilla to cool before eating it plain. Sigh…. Thank you for all that you do! I just made these, and I am amazed at how good they are! The taste reminds me of my grandmother’s fried bread recipe. I actually used a mix of oils, red palm, coconut, ghee, and olive. If you use a solid oil, make sure to melt it first and then measure while it’s a liquid. A solid tablespoon is not the same as a liquid one. I started with a tablespoon each of the red palm, coconut, and ghee, but once they had melted, they made about 4.5 tablespoons. I used olive oil for the rest. I will be having these for lunch at work this week with shredded pork. I hope they keep well in the fridge. Thank you for this recipe, it’s a lifesaver! Best gluten free tortillas I’ve made so far. They were hubby approved! Thanks for the great recipe my search is now over. I’ll be making these from now on. Just found your blog and I love it! THESE ARE AMAZING! Recipe worked perfectly as written with Otto’s flour. I am beyond excited! Me and my son tried these last night. They were delicious! We started AIP last week. Feeling a lot better already. We found out in October we have been living in a home with mold the last couple years:( Would this diet work for reducing mold toxins? I just read today that cassava is not good to eat on a low mold diet. We would hate to give these up. Looked all over your website and haven’t been able to find anything connected with reducing mold toxins. I hope AIP would be a good way to go! Appreciate your thoughts on this. I do not have cremor tartar at the moment. I have heard you mention a substitution method for some other acid but I do not know the proportions. What can I substitute with and what amount? I just made these and they are delicious!! However the dough as per recipe was very dry and crumbly, I pretty much doubled the olive oil amount. The first one started breaking apart when I tried to put it in the pan so the rest I just flipped onto the pan with wax paper still attached to the top. After a few seconds I was able to easily peel off the paper. We had them with sautéed garlic shrimp and swiss chard, taco style. I love them and will be making them again but do wish that Sarah would address the potential negative effects of cassava. 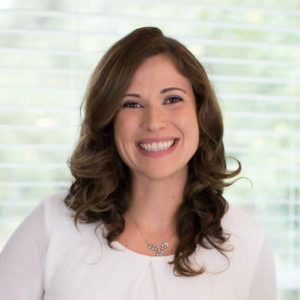 First I want to say a huge Thank you Sarah for your incredibly informative books The Paleo Approach and The Healing Kitchen. My children gave them to me for Christmas. They were easy to read and understand. I started the AIP protocol around Jan 9 (as soon as all the Christmas treats were gone) and I can honestly say I have followed it to the letter since then. Five weeks in and I have lost 10 lbs and my stomach feels so much better. My fatigue hasn’t completely diminished but my energy level has greatly improved. I realize this isn’t going to cure my autoimmune disease but if there is anything I can do to delay, put into remission or even just give me more “good” days than “bad” I’m on board. I was so excited to find Otto’s Cassava Flour and try your recipe for tortilla’s. I followed the recipe exactly and they turned out perfect! After five weeks of meats, veggies and some fruit they were the tastiest things I’d eaten in awhile. I filled them with grass fed ground beef, avocado slices, sliced radishes, chopped cucumber, sliced black olives, cilantro, green tops from green onions and added a splash of fresh lime juice. I felt like I died and went to heaven. Thank you for a fantastic recipe! These are awesome! Made the recipe exactly as it’s written. Delicious. I had to add an additional cup of flour to get the dough right – it was much too oily without the extra. My brand of cassava flour is different to yours – maybe that’s why people are having differing results. It’s the closest thing to bread that I’ve had in a loooong time. Using 2 pieces of wax paper worked best for me. My dough stuck to the silicone mat when I tried that. I asked on FB but I’ll ask here, too. In your March 13, 2013 blog post you mention Tapioca as a potential gluten cross-reactor. Would Cassava Flour have that same potential? If not, why not? I understand that how it is processed is different but it is from the same plant so I’m just trying to understand. Thanks in advance. There were AMAZING!!! Thank you so much for the recipe and video!! Can you substitute something different for the cassava flour? I can’t find it around my area. Buy directly from Otto’s website and there is no shipping fee. They are also very fast getting your order out. I have gotten it in a little as two days. Thank you for giving me tacos back! These are delicious and several non AIP tasters thought they were way better than regular flour tortillas. They are also very easy to make. I was in heaven eating my first tacos in over 7 months! I’ve been on a Paleo diet for 2 years and have been searching for a good tortilla substitute. Your recipe is great. They are not quite my grandmother’s recipe, but they are close! Can you let me know the macronutrients so that I can Zone these fabulous tortillas into my diet? I would use my mixer – don’t like getting my hands all messy! I tried these using Cassava flour available in Europe which is an African product under the AF Foods (Africa’s Finest) brand. It took 3 cups of the flour to make a handle-able dough and although it rolled out it just fell apart when i tied to handle it.. In the end i patted it on to non- stick baking sheets and grilled it and it turned into a hard crisp bread. 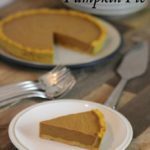 It was delicious and satisfying and am pleased with the result although it was totally different to the recipe. Seems the flour is very different but it is now a staple and is great with pate. I’m glad you still found a way to make it work, despite the difference in the flour! Thanks for sharing! I had these paired with your “Taco Night” beef filling and Cucumber Pico de Gallo, both from The Healing Kitchen cookbook, and was in taco heaven! Had no trouble with the recipe as written. Does anyone have an issue with these falling apart after cooking? Or are they tough enough to actually hold their contents? Are banana/coconut flours ok as substitutes? These were lovely! Thank you for the recipe. I found that my result was too dry but I couldn’t tell until I rolled my first tortilla and it crumbled on me when I tried to pick it up. To compensate, I simply drizzled additional oil into each ball and worked it in before rolling each one. This worked perfectly. Outstanding. Thank you for this. We were buying Siete tortillas @$9.00 per bag before making our own. the dough is so crumbly, even after i added more oil. what am i doing wrong? WOW! These are absolutely delicious!!! My husband and I were beyond impressed at how these tortillas turned out. I feel like I finally have Mexican food back in my life (and as an AIP Cali girl that is a big deal). Thank you SO much! I followed the recipe exactly — used hot water, half avocado oil and half olive oil. I also used a tiny bit of pork fat to cook with. YUM!